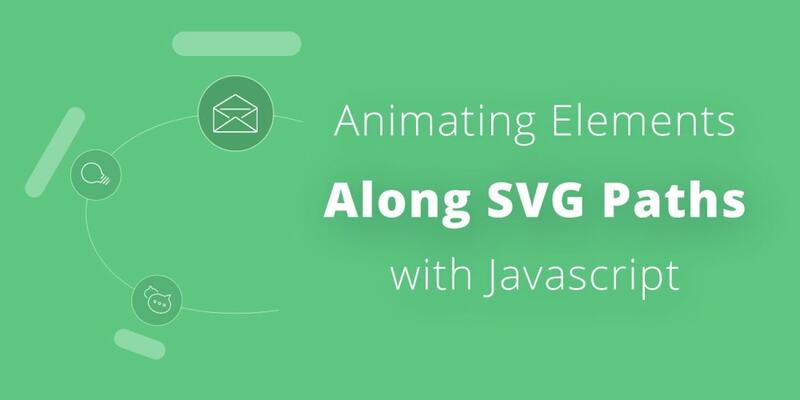 And we can do so many things with the SVG paths, that I never tire of experimenting with them, always trying to use them to create attractive and original experiences in the front-end of our websites or applications. If you follow the entire tutorial, you will see how easy it is to develop sliders where elements move from one position to another using our library. We&apos;ve started! Before getting into the code to get the slider working, let&apos;s see how we can use the PathSlider library, as well as some options it offers. First, our library depends on anime.js, so we&apos;ll need to include it in our project before you we use start using PathSlider. In addition there are some other small requirements that must be taken into account in the HTML and CSS code so that everything works correctly, but we will be seeing them as we develop our slider. startLength (float or &apos;center&apos;): Length of the path to start positioning the elements. This will be the position for the active item always. A selected item will be moved here, also moving all the other items accordingly. activeSeparation (float): Separation among the active item and adjacent items. paddingSeparation (float): Padding separation at the beginning and the end of the path. items: After the selected item get positioned, all the other items will be positioned at the same distance from each other, given the remaining space. Except items, all the properties described can be supplied as options when initializing our slider, thus providing total freedom to customize our slider to our needs. In addition to these there are other options available, which you can consult in the Github repository. And now we&apos;re ready to see some code! Our HTML code will be pretty simple, just a container (.path-slider), the SVG path to slide the items through it, and the items. It&apos;s important to note that the SVG path and the items should be inside the same container, so we can avoid issues with positioning. As always, you can check the full code in the Github repository. As you can see, we have commented all the options used, so it is easy to unsderstand what is the meaning of each one. selectPrevItem(): Select the prev item. selectNextItem(): Select the next item. selectItem(index): Select any item using the corresponding index. You can check the detailed documentation about all the possible options, as well as the rest of the functions of the library in the Github repository. You can check the live demo, play with the code on Codepen, or get the full code on Github. This time we have developed a basic slider, using a closed SVG path and some options provided by our library. But this is not the only thing we can do. In a next tutorial we will see how to develop sliders a little more advanced and colorful, also using other options provided by the library. We really hope you have enjoyed the tutorial and that it has been useful!